Purpose built for tactical operators, 5.11's 3.6 Med Kit is designed to provide immediate access to critical medical gear. A prominent medical cross provides instant, positive ID in emergency situations. Padded interior keeps contents secure and stable. Hot-Pull tab allows rapid one-handed access. 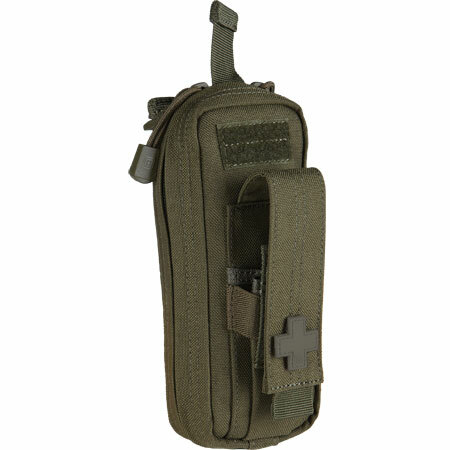 Multiple interior organizer pockets accommodate medical accessories. The exterior features a hook and loop flag patch and secure tourniquet storage. Completely MOLLE/web compatible.